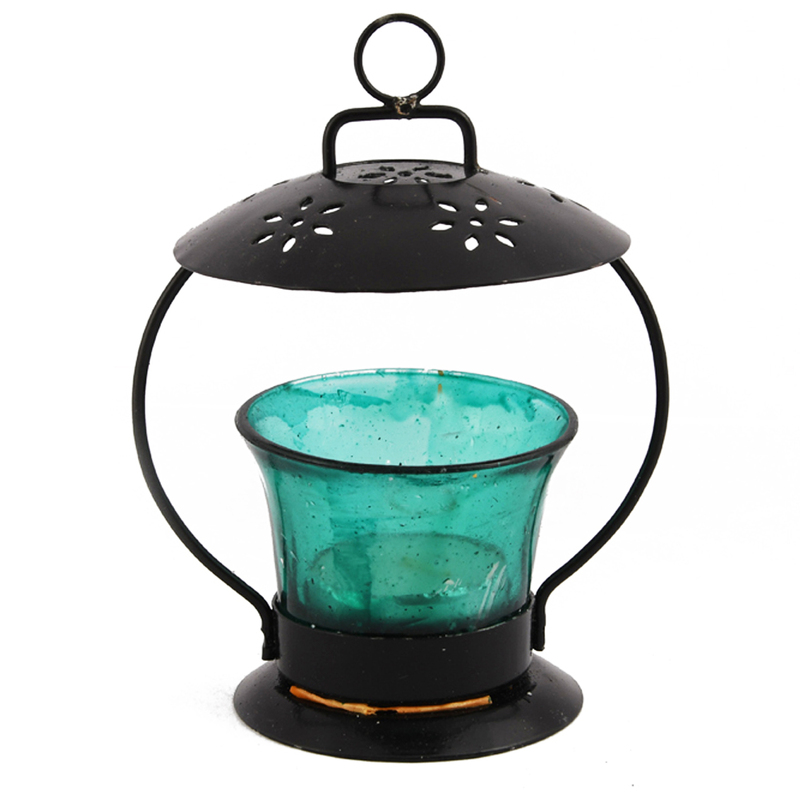 This chimni candle hanging with metal and glass components creates a very enthralling display of shadows and light. 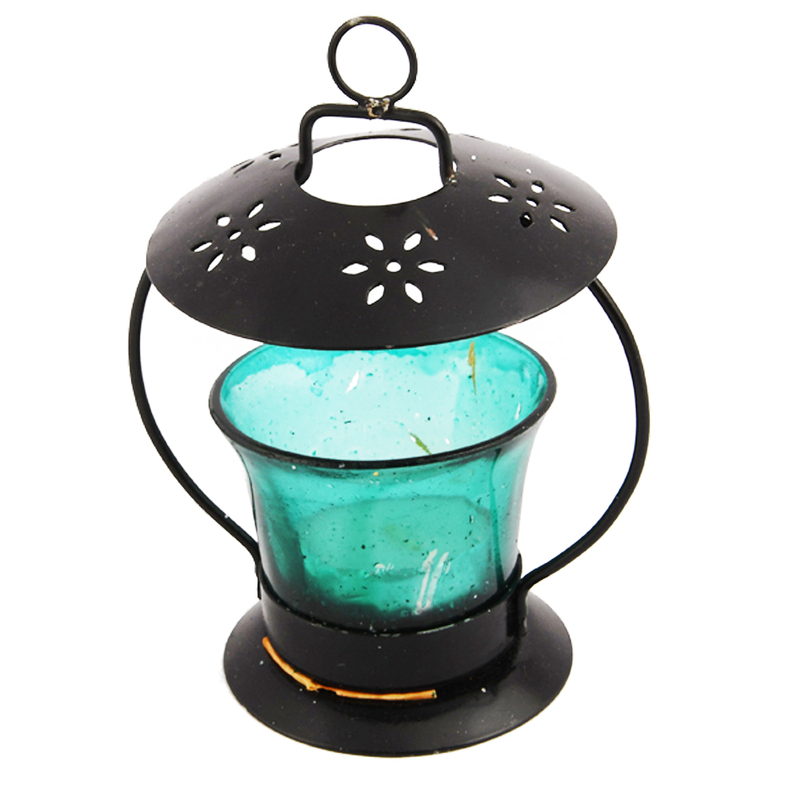 The 5.3 inch candle hanging has a Read More..metal base, and a glass casing which allows maximum of the light to be refracted out. 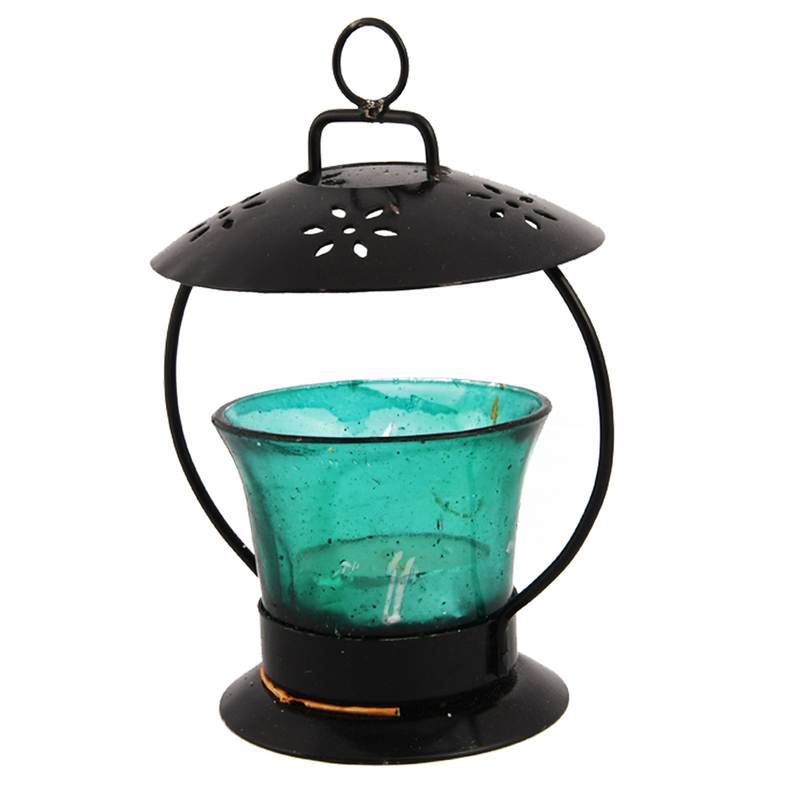 This metal and glass candle hanging creates a royal ambience, if they are used in a set. This candle hanging can be used as a gift to anyone. It does not matter if it is given as a corporate gift or a personal gift. The black colour of the base, and the handle goes really well with the blue shade of the glass. Show Less..